There's new evidence of the "buy to leave" phenomenon in London: of investors buying homes and not even renting them out, just letting them stand empty, helping exacerbate the housing crisis. There have been grumblings around buy to leave for a while, with One Hyde Park being a prime example. But it's generally been dismissed as a minor issue — certainly, at a housing conference we attended last week, it came up but was shrugged off by the panel as a distraction. However, some figures from Islington and Westminster show it's something we may have to take more seriously. New data via the Labour group on Westminster council reveals over 10,000 voters have dropped off the electoral register in the last year. This could indicate problems with the new electoral registration system (since June 2014, voters need to register themselves individually rather than have the head of the household fill in the form for everyone) or that people aren't actually living in the properties they own. But since voters won't start to be removed from the register until after the 2015 general election, and the biggest fall in voters are in wealthy areas (i.e. less likely to have educational issues around understanding the new system, or keen to hide from the authorities) we think it's probable that we're finally seeing evidence of empty homes. Over the course of the last year, Knightsbridge and Belgravia ward has lost 1,385 voters — that's a decline of 24%. Hyde Park ward's voters have gone from 7,108 to 6,301; St James's ward from 7,281 to 6,502; Bryanston and Dorset Square ward from 6,933 to 6,262. Where have they all gone? This map shows 'missing' residents are clearly a problem in Westminster, but also reveals pockets in Canary Wharf, the City, around Regent's Park and elsewhere in London. In Islington, the council has found nobody on the electoral register at 30% of 2,000 new homes built in the last six years. One councillor writing at the New Statesman describes one building where, even after checking against council tax information to account for students or sub-lets to people not eligible to vote, around half the flats were apparently unoccupied. 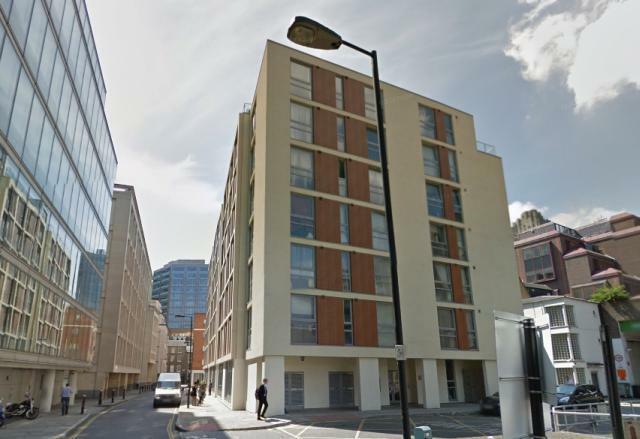 'Missing' voter numbers get even higher for 1 Lamb's Passage near Barbican (71% of private flats; and oh look, here's a website advertising at least one of them as short stay serviced apartments); for Worcester Point near City Road, 65% of the flats have nobody registered to vote. Which is why Islington has decided to try and fine investors who leave property empty (whether it's going to be an effective idea or not is open to debate). These are all obviously at the higher end of the market, but the downward knock-on effect hits us all if it's blocking desperately needed places to live. Also: we all know we're not building enough homes, and yet too many of the homes we are building are expensive, luxury flats, many of which are evidently destined to be 'safe deposit boxes in the sky'. Numbers of homes built means very little if they're not the right kind of homes, that Londoners actually want to live in and can afford. What if Battersea Power Station ends up 30% empty?